I brought my classes forward by a week this motnh, so as to avoid half term. 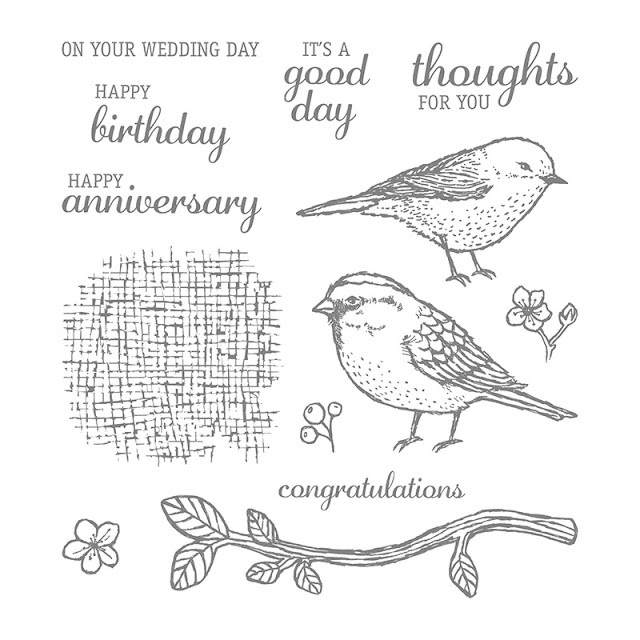 Everyone seemed to enjoy the class which used the Best Birds stamp set, which has matching Framelits for the Big Shot. 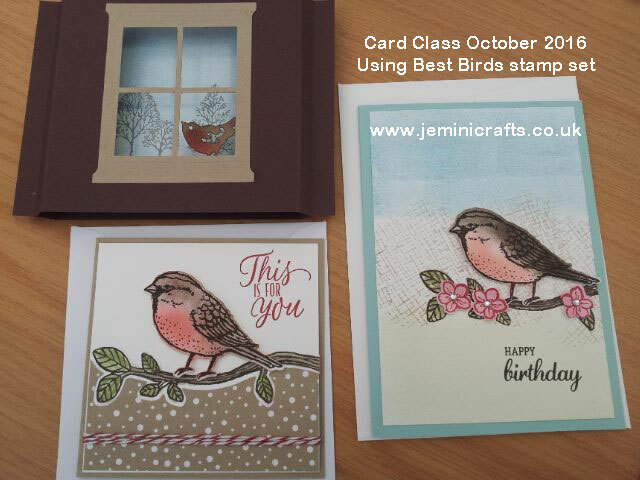 Here is a set of finished cards from the Milton Keynes class on Saturday 22nd October. Thanks to Roni for letting me photograph them and share them with you. I love the inlaid branch in the square card, and the little hessian style background in the portrait card is one of the stamps included in the set. just ask me for more details.